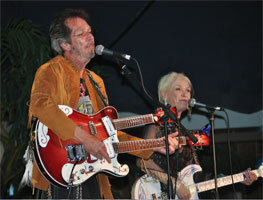 Duo Rockabilly US, originaire de l'Oklahoma. 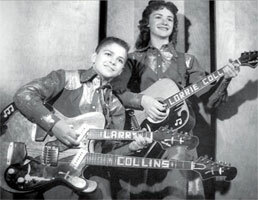 Les Collins Kids, Lorrie (née le 7 Mai 1942) et Larry (né le 4 Octobre 1944) débutent en 1953 au show Californien du "Town Hall Party" de Compton. 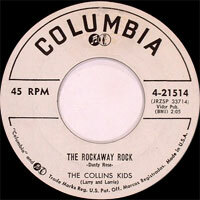 Puis en juillet 55, les "Collins Kids" enregistrent chez Columbia Records. 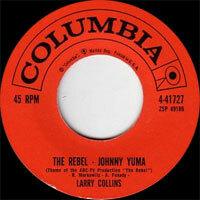 Leurs disques sont du Rockabilly où le son Country (fiddle) est toujours présent. 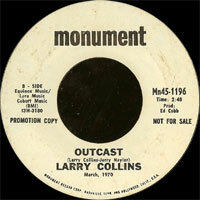 Ils se séparent au début des années soixante et Larry a poursuivit seul chez Columbia et Monument Records. 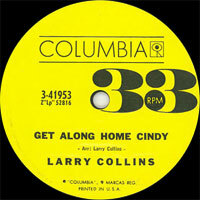 Lorrie Collins est décédée le 4 Août 2018 à Reno (Nevada). 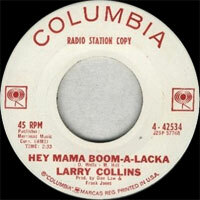 By the time Lawrence (born October 4, 1944, in Tulsa, Oklahoma) and Lawrencine Collins (born May 7, 1942, in Tahlequah, Oklahoma) were 11 and 13, respectively, they were already tearing it up on country package shows, recording for Columbia Records, and performing on national TV almost weekly. 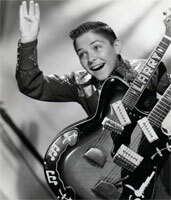 Older sister Lorrie held up the cowgirl fringe-rustling-against-nylons teenage sensuality department; kid brother Larry was a bundle of hyperkinetic energy, bopping all over the place while laying down exciting, twangy guitar breaks learned firsthand from the King of the Doublenecked Mosrite, Joe Maphis. 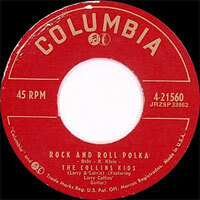 As time went on, the Collins' recordings veered from mawkish brother/sister country-style duos to white-hot rockabilly, and they were just reaching their peak when Lorrie eloped, effectively breaking up the act. 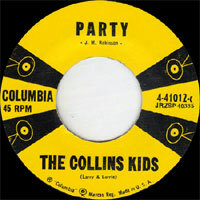 Revered by rockabilly collectors the world over, their filmed television appearances and recordings are testimony to the fact that the Collins Kids weren't just "good for their age," they were just plain good, period. 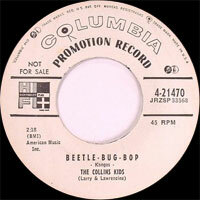 Lorrie Collins passed away on August 4, 2018 in Reno, Nevada.